You have to take a long hike to see the Troll's Tongue -- ten hours over rocky terrain. And in this case, it took three trips to capture the landform below a clear night sky. 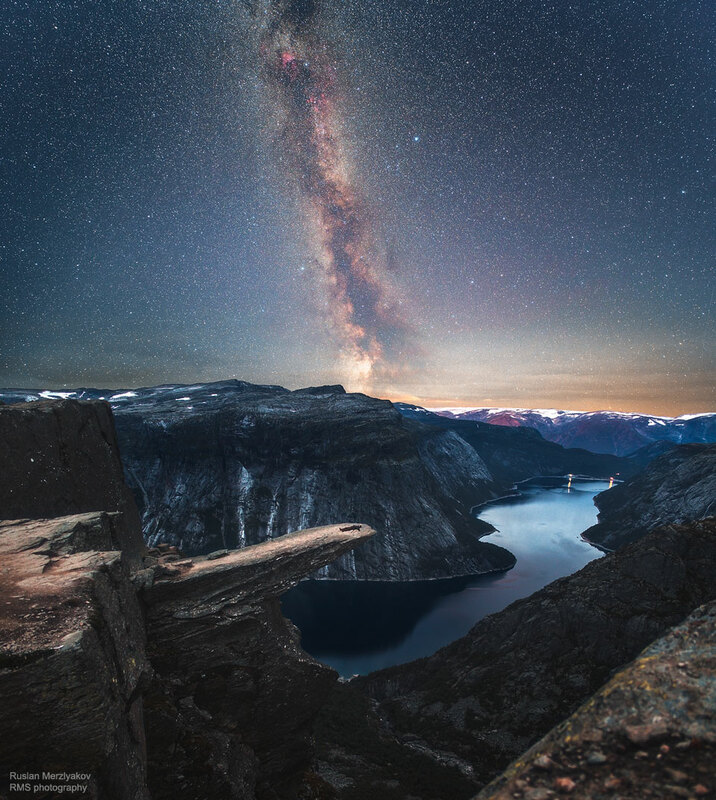 Trolltunga itself is a picturesque rock protrusion extending about 700 meters over mountainous cliffs near Lake Ringedalsvatnet in Norway. The overhang is made of billion-year-old Precambrian bedrock that was carved out by glaciers during an ice-age about 10,000 years ago. The featured picture is a composite of two exposures, a 15-second image of the foreground Earth followed 40 minutes later by an 87-second exposure of the background sky. Thousands of discernable stars dot the backdrop starscape in addition to billions of unresolved stars in the nearly vertical band of our Milky Way Galaxy.